Beautiful Aye Myat Thu wears outfits designed by MgLatt. Photography is P.M.Zaw (Paparazzi). Photoshoot is taken at Novotel Yangon Max Hotel. 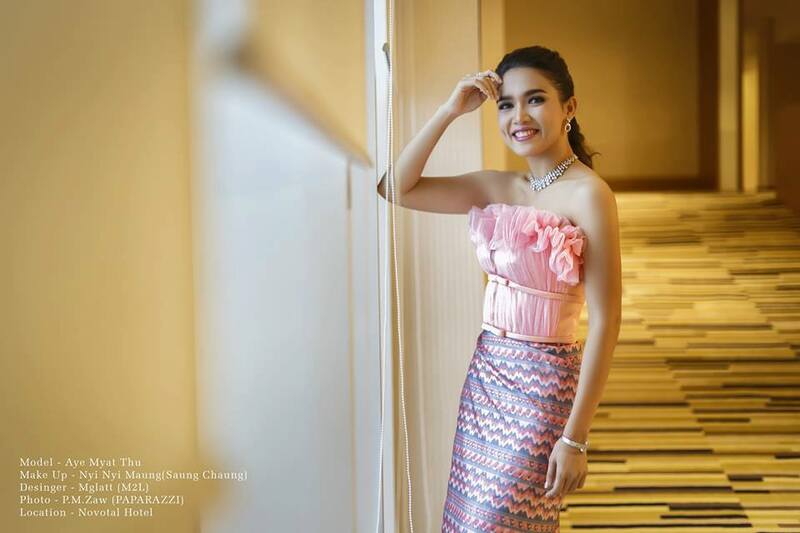 Aye Myat Thu - well known actress shares her photos on which she shows off different fashion outfits inside the hotel.